Sadly sad in this era of Fitnaah, when we [Muslim] are bombarded with conspiracies hatred,mistrust,deviation,not from outside source but among st ourselves this post is definitely a reminder not only to WAKE UP ourselves but to remind and teach our children the true Beliefs of Islaam. All praise be to God, the Compassionate, and the Merciful. You alone we worship: and to You alone we turn for help. Guide us to the straight path: the path of those whom You have favored: not of those who have incurred Your wrath, nor of those who have gone astray. Blessings and Peace be upon Allaahs Most Beloved Prophet Hazrat Muhammad Mustafaa (صلى الله عليه وسلم). Sadly sad in this era of Fitnaah, when we [Muslim] are bombarded with conspiracies hatred,mistrust,deviation,not from outside source but amongst ourselves this post is definitely a reminder not only to WAKE UP ourselves but to remind and teach our children the true Beliefs of Islaam. No one stops us from going to cinemas, watch TV all day…sports and other baseless activities in which are kids are involved day and night. [Not mentioning the haraam ones]. But out there people are spreading posts and rumors about gatherings of worship. WHAT IS DONE ON SHAB E BARAA’AT NIGHT? SO WHAT IS THE CONFUSION???? Even Ibn Taymiyyah, [THE WAHAABI SCHOOL OF THOUGHT –LEADER] a scholar notorious for refuting such things also accepts the virtue of the night of Shab e Bara'aat. Translation: As for the 15th night of Sha’baan, there are many narrations and Athar (quotes from the Sahabaah’s) regarding its virtue. It has been reported of the salaf that they prayed in this night. Therefore, praying alone on this night, having precedence in the salaf, is sufficient evidence and something of this kind surely cannot be denied. Translation: If one prays on this night alone or in a select company of people as many groups amongst the salaf did, "then it is good". 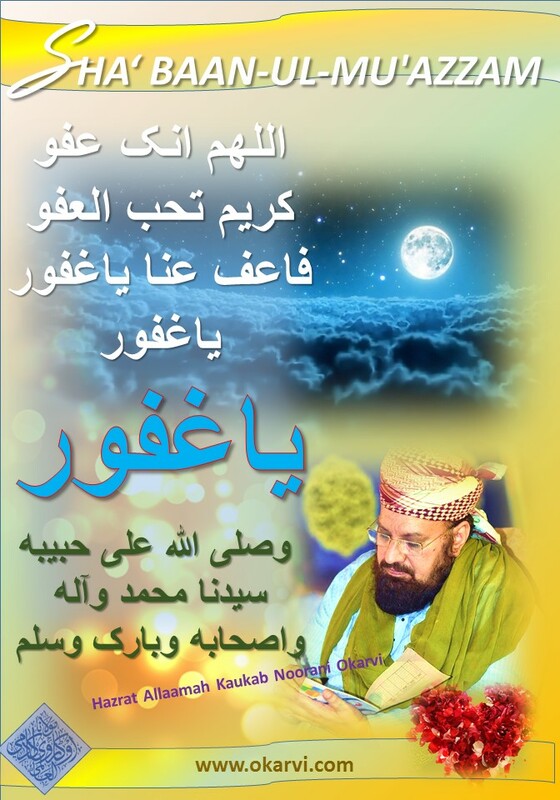 He says: 'So many Ahaadees and reports exist regarding the excellence of the fifteenth night of Shabaan that one is compelled to accept that this night does possess some virtue'. "Allaah Ta’aalaa looks at His creation during the night of the 15th of Sha'baan and He forgives His servants except two- one intent on hatred and a murderer. , Ref : Musnad Ahmad 2/176 #6642.
. Translation: The deceased indeed gets benefit from the good deeds which are performed for him, such as giving Sadaqah, this is proven from explicit proofs of Sunnah and so are Imaams "UNANIMOUS UPON IT"
If someone dies and he has some missed fasts then the Walee should fast on his behalf. Is there anyone to invoke Me that I may respond to his invocation? Is there anyone to ask Me so that I may grant him his request? Is there anyone asking My forgiveness so that I may forgive him? “My Lord, would he be male or female?” And both these things are written. And his deeds and actions, *his death*, his livelihood; these are also recorded. 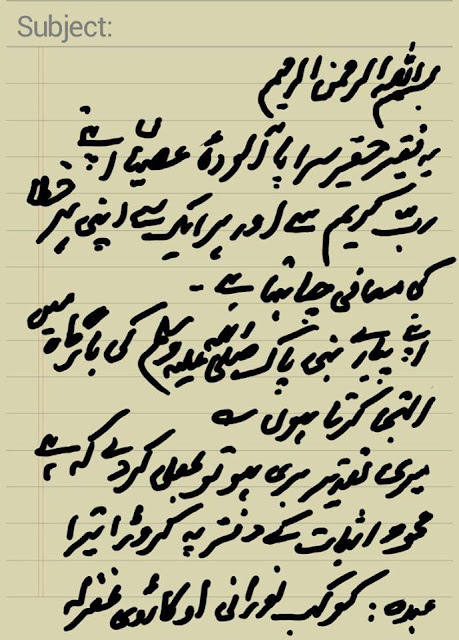 NO ONE IS DENYING THE ABOVE HADEES…ON THE 15TH OF SHABAAN, THE WHOLE YEARLY INSTRUCTIONS, IS GIVEN TO THE ANGELS …OF WHAT TO DO….WHAT IS GOING TO HAPPEN,WHO WILL BE BORN,DIE THAT YEAR ETC. THE ABOVE HADEES TALK ABOUT THE CHARACTER [RECORDED HISTORY] OF THE PERSON TO BE BORN…HERE WE ARE TALKING ABOUT YEARLY REPORT INSTRUCTION. RECORDED LIFE HAPPENING IS DIFFERENT AND GIVING THE YEARLY MANUAL INSTRUCTION TO THE ANGELS WHAT TO DO ALL YEAR AROUND IS DIFFERENT. 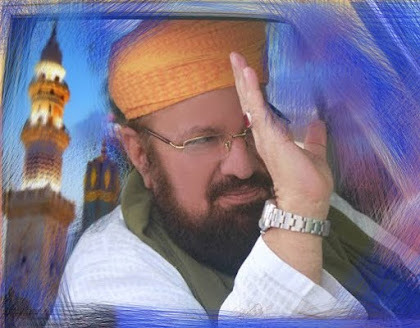 ‏عن ‏ ‏عمران بن حصين ‏ ‏رضي الله عنهما ‏‏أن رسول الله ‏ ‏صلى الله عليه وسلم ‏ ‏قال له ‏ ‏أو لآخر ‏ ‏أصمت من ‏ ‏سرر ‏ ‏شعبان قال لا قال فإذا أفطرت فصم يومين , Translation: Imraan bin Husaien [Rahamatul Laah Alaieh] reported that Holy Prophet Muhammad (صلى الله عليه وسلم) having said to him..
Did you fast in the "Middle of Sha'baan?" He said: No. * ❗Misconception # 4:* The night of the 15th of Shabaan should be singled out for special kinds of worship, prayer, etc. and they have a great reward ❣Answer: There is no Saheeh Hadees concerning the night of the fifteenth of Shabaan.So this night is ordinary like other nights and the reward for praying/worshiping in this night will be the same as other nights. SHOW US ONE HADEES, WHERE DOING A METRIOUS ACT OF WORSHIP IS FORBIDDEN. It is admitted fact that every moment, second, minute, hour, day or night that is spent in the submission of Allaah Almighty and His Beloved Prophet (صلى الله عليه وسلم) is exceedingly meaningful and precious. But there are some days, nights and months which have their own weight and Allaah Kareem, the compassionate, lays immense stress upon them to unveil their importance to his rationale creatures. 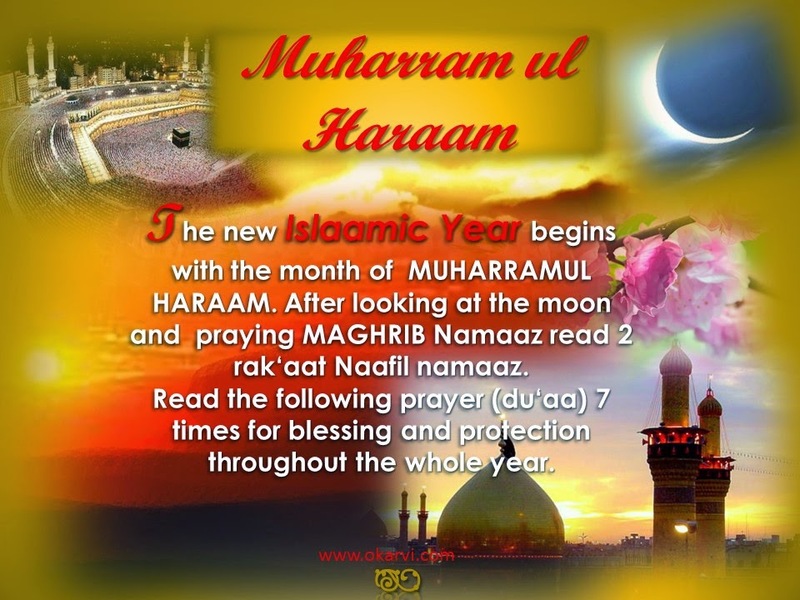 Among those months, those hold much importance is Muharram, Rajab, Sha’baan. The Holy Month of Sha’baan is one of the blessed months that holds much too for us from the mercy, compassion and kindness of Allaah Almighty.It is preparatory month that welcomes the holy month of Ramadaan. As our Beloved Prophet (صلى الله عليه وسلم) called it my month, so its significance and importance touches to the sky because everything that has got any link directly or indirectly with the holy Prophet (صلى الله عليه وسلم) becomes an exalted thing for his true followers and mumineen. Translation: Rasoolul Laah (صلى الله عليه وسلم) used to observe fasts (so continuously) that we said that he would not break, and did not observe (them) till we said that he would not fast: and I did not see the Rasoolul Laah (صلى الله عليه وسلم) completing the fast of a month, but that of Ramadaan, and I did not see him fasting more in any other month than that of Sha'baan. * ❗Misconception # 6:* This is the night when the souls of departed ones return to their families. ❣Answer: This thing has no basis in Quraan or Ahadees The souls can never return to this world. This is a fabrication and lie invented by people. Though historical documentation, we know that on the night of forgiveness, the Prophet Muhammad [Sallal Laahu Alaieh Wa Sallam] visited Jannat ul Baqee, a graveyard in Madeenah. 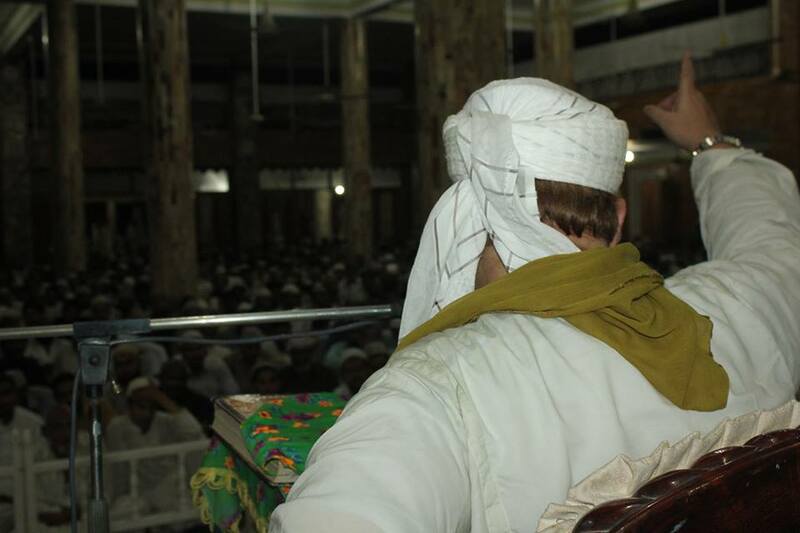 He offered supplications for the departed souls of his family and companions. Following in his footsteps, Muslims visit graveyards and Dargaahs, seeking forgiveness for themselves and for the souls of loved ones. Frequenting graveyards remind of the transitory nature of the world. Death is the only reality of which there is universally no doubt. Reflecting on death reveals the urgency of living a sincere, honest and fruitful life. [Al Qur’aan 6:116] So this is a weak argument that majority of people do it and believe in it so it is true. THE OBOVE VERSE IN THE QURAAN IS ABOUT UNBELIVERS ALLAAH KAREEM IS NOT SAYING ABOUT PEOPLE WHO ARE WORSHIPPING HIM ON THE SHABAAN DOING TASBEEH AND QURAAN. 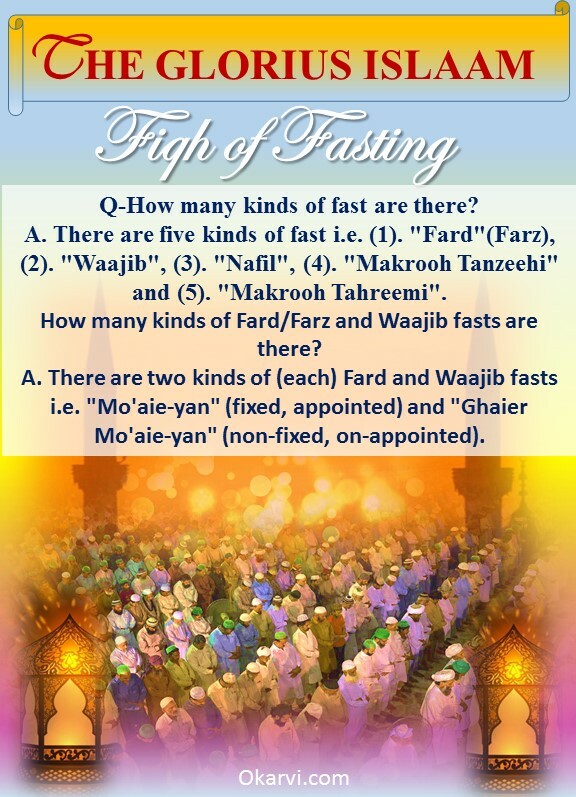 These reports indicate that fasting in the month of Sha`baan, though not obligatory, is so meritious that the Holy Prophet (صلى الله عليه وسلم) did not like to miss it. But it should be understood that the fasts of Sha`baan are for those persons only who are capable of keeping them without causing deficiency in the obligatory fasts of Ramadaan. It is the habit of the Muslims to celebrate some auspicious events during the month of Sha'baan by praying, reciting Quraan, praising Allaah, and making a great deal of supplication to Allaah Kareem during that night. Sha’baan is like an introduction to Ramadaan and it has some things in common with Ramadaan, such as fasting, reciting Holy Quraan and giving in charity. It has been narrated that upon the arrival of Rajab the Holy Prophet (صلى الله عليه وسلم) used to pray "O' Allaah! Bless us abundantly in Rajab and Sha'baan and deliver us safely unto Ramadaan." Dear Muslim brothers, the Bountiful Allaah Kareem in His Infinite Mercy has provided us with such an auspicious night so that we may take advantage of it and repent for our sins, and thus obtain His Grace and Favor. It is for us to take full advantage of it. During this night, offer special prayers and repent sincerely for our past sins and ask for His Forgiveness. May Allaah Ta'aalaa guide them and show them the right path so that they be in touch with their glorious past, May Almighty Allaah guide us on the path of the Ambiyaa and the Auliyaa Allaah. To conclude the virtue of this blessed night are established by Ahadees and a group of the salaf it is recommended to stay up on it, and the opinion that it is Bida'h (innovation) is a "Reprehensible" (munkar) opinion.